Spousal abuse has long been a serious social problem. It was not always illegal. Abuse in a marriage used to be a legal way for a man to assert his authority. For a number of years, however, spousal abuse has been considered a serious crime that targets mostly women. Although the proportion has declined, in 2006, women were still five times more likely then men to be abused by their spouse, common-law or intimate partner. 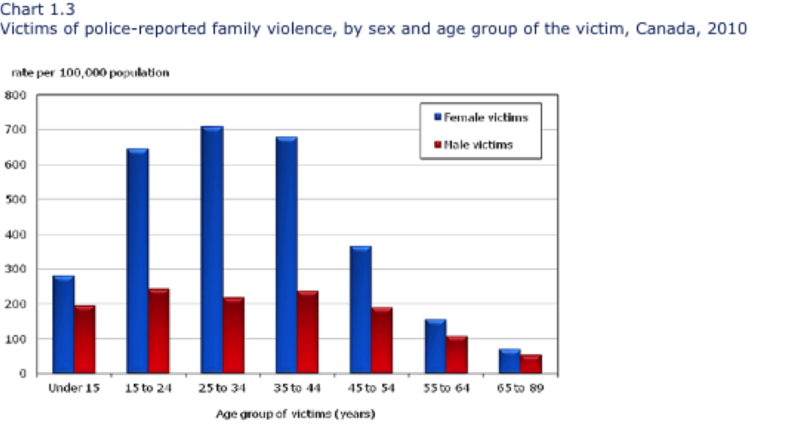 Source: Family Violence in Canada: A Statistical Profile 2009. 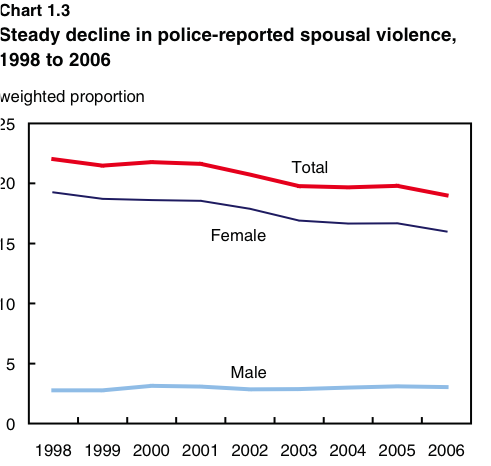 From 2004 until 2009, Statistics Canada reports that in all provinces the proportion of spousal abuse that was reported to police was similar, with the exception of Quebec and Newfoundland and Labrador where the proportions were lower. The severity of the incident, however, remained unchanged. Aboriginal women are approximately 3 ½ times more likely to be abused than non-Aboriginal women. 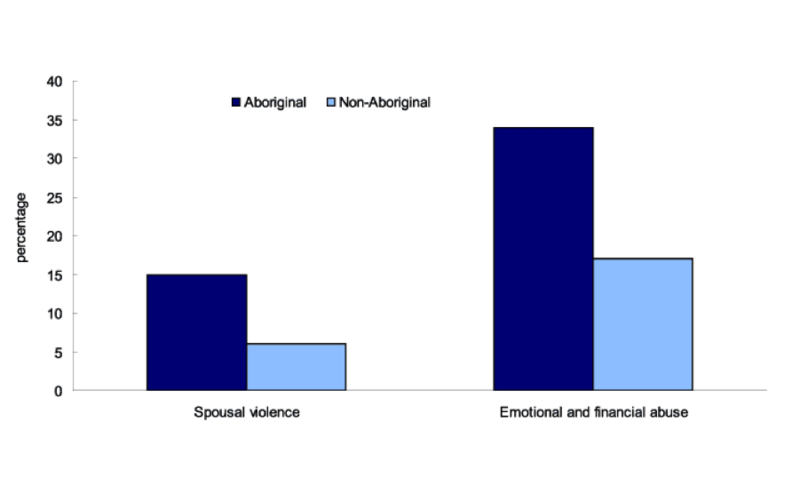 Aboriginal women tend to have lower levels of education but higher levels of poverty than non-Aboriginal women, which may contribute to this drastic difference in levels of family violence. But it is important to recall that domestic abuse takes place across all levels of education and at all levels of income. According to a 2008 publication by the National Clearinghouse on Family Violence, other factors that contribute to spousal abuse are lack of parenting skills, and the idea that violence is a learned behavior. In 2012, 21% of Aboriginal women report some form of physical or sexual violence by a spouse. Only 6% of non-Aboriginal women report the same. The National Clearinghouse on Family Violence also says that not only is abuse more common among Aboriginal women, but it is also more severe. Being beaten, choked, sexually assaulted, and threatened with a weapon are seen in 54% of spousal abuse cases in Aboriginal women, which is significantly higher than 37% reported in non-Aboriginal cases. Spousal abuse remains a daily struggle for many women nationwide. But people and groups are taking action most notably through the White Ribbon Campaign, which targets men to end violence against women.